Using a successful house design and replicating it is a cost effective and sustainable way to build. 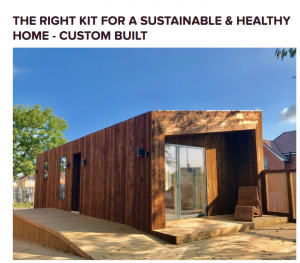 No wonder kit houses are fast becoming a solution for developing new communities. As a new route to housing delivery in the UK, custom build is growing in popularity; 10% of all new builds are custom build. Our five best kit house schemes – for now!